I often make standard waffles, i.e. without chocolate. I usually bake them when I am in the mood for something sweet. They are quick to make, which is very important to me because while working, studying and doing a lot of other things at the same time, I cannot afford to spend long hours in the kitchen. Ingredients You need to make waffles. 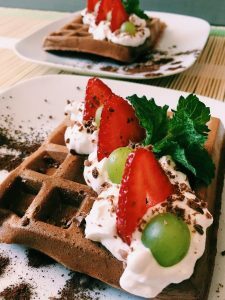 How to prepare chocolate waffles. Separate the egg whites from the yolk. Add powdered sugar, salt and vanilla extract to them. Slightly mix with a mixer or a whisk. Melt the butter and chocolate separately in a microwave oven or water bath. Add the milk, baking powder and flour to the yolk. Continue mixing for a minute. Then add the cooled down butter and the melted chocolate, and whisk the waffle batter. Whisk the egg whites in a separate bowl. Add them gently to the mix with a spoon. 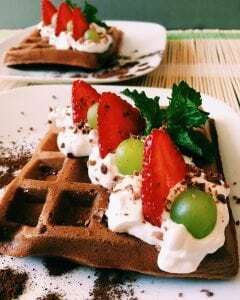 Bake the waffles for 8 to 9 minutes in the waffle iron. Serve with whipped cream and fruits. 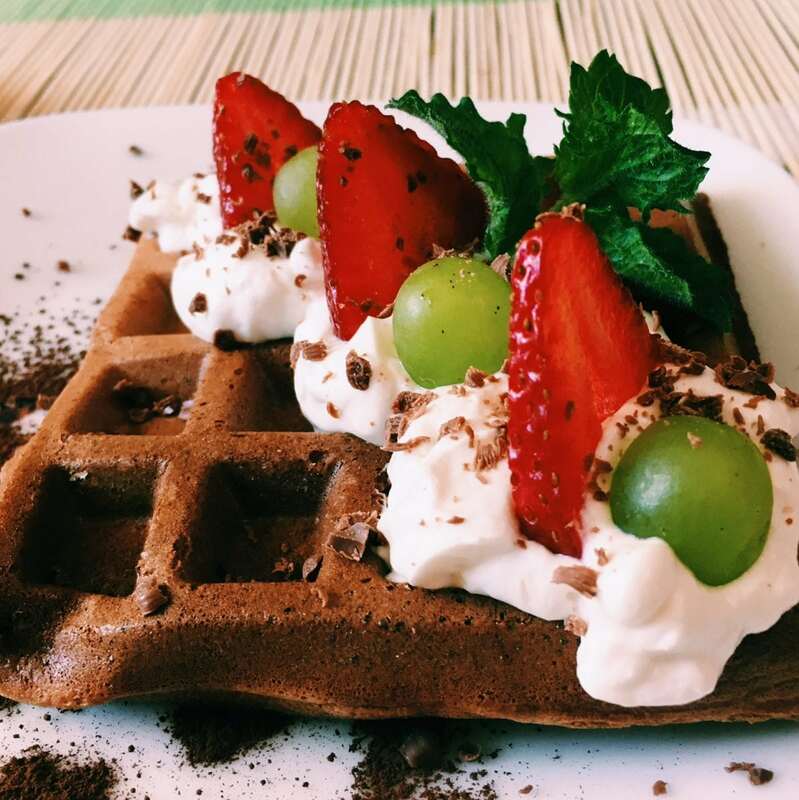 What You need to make waffles with fruits. It is a good idea to have a kebab stick at hand; they are perfect for turning waffles.